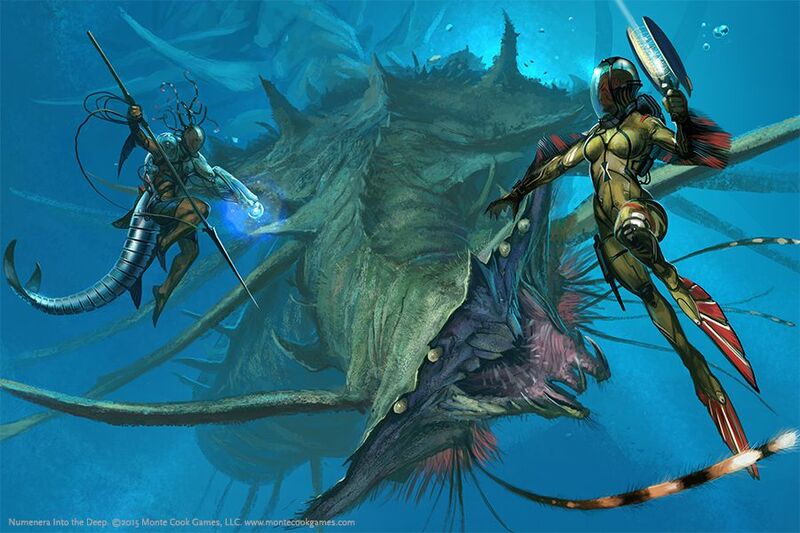 Numenera has been uniquely designed, by one of gaming’s most celebrated RPG designers, to be easy on the GM and fast and fun at the game table. At the heart of the game lies the task resolution system. Every task has a difficulty, on a simple scale of 1 to 10, set by the GM. The players then bring their skills and assets to bear, reducing the difficulty. If the player feels the roll is important enough, she might also apply a limited resource called Effort, reducing the difficulty even further. Then the player makes a simple die roll. The system is mechanically robust, subtly sophisticated, and fast and easy in play. And the players make all the rolls. This frees the GM to focus on imaginative and colorful situations, painting a great narrative and bringing the world to life. The GM has another tool: The GM intrusion. Through this mechanism, the GM can add plot twists and complications in a way that’s fair and even attractive to the players. They’re rewarded with XP for accepting a GM intrusion—or they can spend XP to avoid it. XP are also awarded when characters make new, interesting discoveries. XP can be spent to increase character abilities, or to affect events in the game (such as rerolling dice), gain short-term benefits, or advance in tier. Few games are as fun and easy to GM as Numenera. 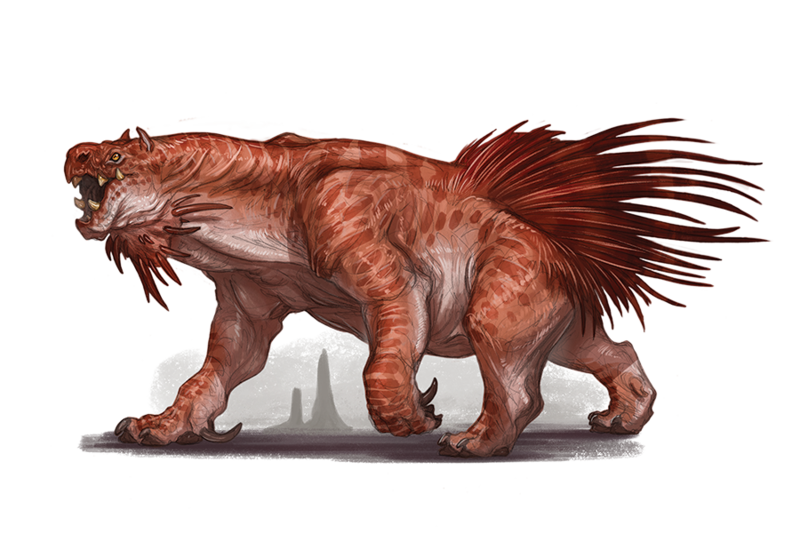 Creatures, NPCs, and entire encounters are incredibly easy to design or make up on the fly—and even easier to run—but they still present vivid and interesting challenges. 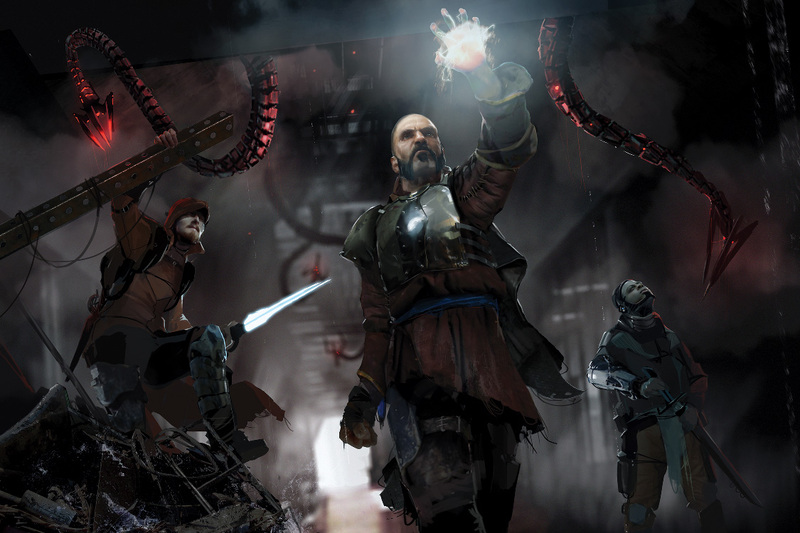 Throw in the unexpected and often weird nature of the Ninth World, and you have a game filled with incredible dangers and challenges the likes of which players have never faced before. 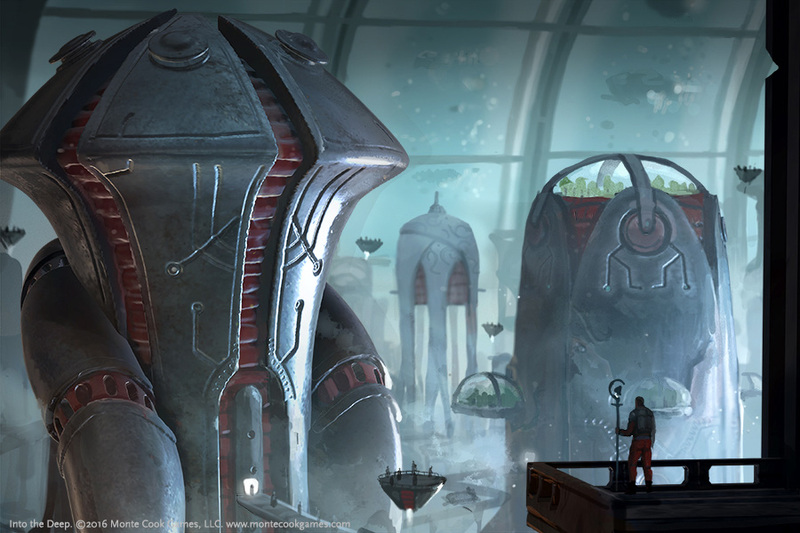 Numenera’s game engine elegantly keeps the focus on story and action, without sacrificing structure or mechanical detail. 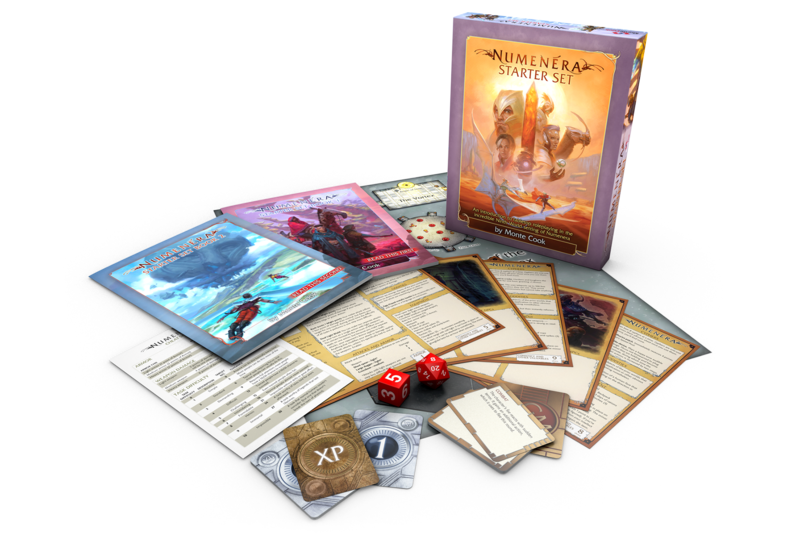 A perfect introduction to the Ninth World, the Numenera Starter Set takes 3–6 players on their first journey into the science-fantasy world of Numenera. Gather your friends, open this box, and begin playing right away! The game is easy to learn and fun to play. Whether you’re new to Numenera or new to roleplaying games, this box has everything you need to get started. And you can get it now!